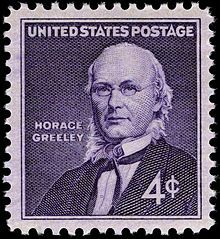 GREELEY, HORACE, journalist and American politician; b. 3 Feb. 1811 near Amherst, New Hampshire, son of Zaccheus Greeley and Mary Woodburn; d. 29 Nov. 1872. 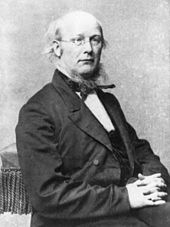 The eldest of five sons of a poor farmer, Horace Greeley received a rudimentary education, then was apprenticed to a Vermont printer. As soon as he was 20 he set out for New York, where, while endeavouring to complete his education, he concerned himself with ways of developing a cheap newspaper. On 11 April 1841, after starting some short-lived papers, he founded the New York Tribune, a daily which from 500 subscribers at the beginning numbered 11,000 only seven weeks later, and which in 1854 reached a circulation of 112,000 copies. Thanks to this newspaper, Greeley became a political power to be reckoned with. The Tribune was the spokesman for his firm anti-slavery opinions and for his social views, inspired chiefly by Charles Fourier, whose doctrine had been popularized in the United States by Albert Brisbane. 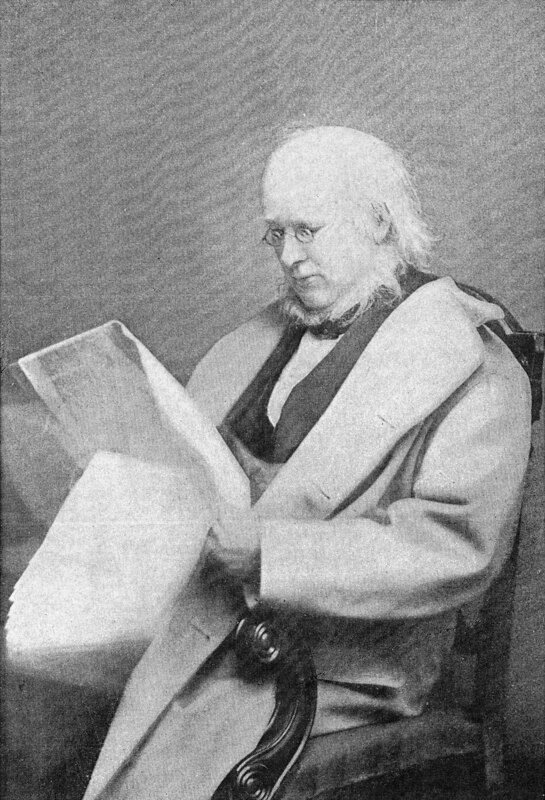 Alert to all the liberal movements shaking the Old World, Horace Greeley placed at the service of his convictions the influence of his pen or of his word – for he was a speaker sought after as much for the impetuous quality of his utterance as for the extreme originality of dress that made him an eminently picturesque personage. Thus, on 29th Nov. 1847, “to the accompaniment of thunderous applause,” he read before an assembly of more than 6,000 persons an address of congratulations to Pius IX, who was considered at that time a liberal pope. When the same pontiff withdrew from the Italian national movement, the Tribune was not slow to condemn him. 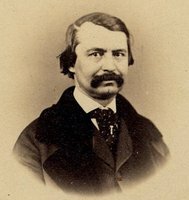 One of the members of the institute, a lawyer, Christophe-Alphonse Geoffrion*, then made himself the interpreter of the “keen enthusiasm” that Greeley’s words had aroused in the audience, taking good care to specify that “all liberties are of the same family”: “The enemy of corporal slavery is necessarily the irreconcilable adversary of intellectual slavery: soldiers under the same flag, we are indebted to him [Greeley] for the harmony of feeling which is being demonstrated for him at this moment . . . . Your presence here,” Geoffrion added, addressing himself directly to Greeley, “is a solemn approval of the path the Institute has followed ever since its foundation, without deviating from it by one iota, despite the countless obstacles amassed on that path.” The texts of Dessaulles, Greeley, and Geoffrion were reproduced in the Annuaire de l’Institut canadien pour 1868. This 30-page pamphlet was put on the Index in July 1869. 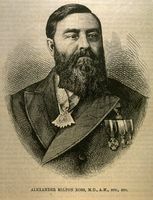 The firmness with which Greeley had all his life defended liberal principles, and the talent he had displayed as a journalist and lecturer, led the liberal Republicans and the Democrats to put him forward in 1872 as a candidate for the presidency. But despite more than 150 speeches in a ruthless electoral campaign, he had the mortification of being defeated by his adversary General U. S. Grant, who was re-elected by a large majority. Horace Greeley died on 29 Nov. 1872 of the double grief caused by this failure and the loss of his beloved wife, Mary Youngs Cheney. Many archives in the United States hold Greeley papers; the most important collections are in the following: Calais Free Library (Calais, Me. ); Denver Public Library; Library of Congress (Washington); New Hampshire Historical Society (Concord, N.H.); New York Historical Society; New York Public Library; Western Reserve Historical Society (Cleveland, Ohio). The main printed works by Greeley are: The American conflict: a history of the great rebellion in the United States of America, 1860–1865 . . . (2v., Hartford, Conn., and Chicago, 1864–66); A history of the struggle for slavery extension or restriction in the United States, from the Declaration of Independence to the present day . . . (New York, 1856); Recollections of a busy life: including reminiscences of American politics and politicians, from the opening of the Missouri contest to the downfall of slavery . . . (New York and Boston, 1868). ACAM, RLB, 17, p.73; 901.059. Annuaire de l’Institut canadien pour 1868; célébration du 24e anniversaire de la fondation de l’Institut canadien, le 17 décembre 1868 (Montréal, 1868). DAB. W. G. Bleyer, Main currents in the history of American journalism (Boston, 1927), 211–38. 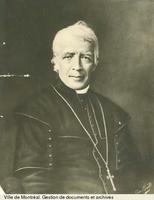 Robert [Philippe] Sylvain, Clerc, garibaldien, prédicant des deux mondes: Alessandro Gavazzi (1809–1889) (2v., Québec, 1962), I, 221–22; La vie et l’œuvre de Henry de Courcy, premier historien de l’Église catholique aux États-Unis (Québec, 1955). 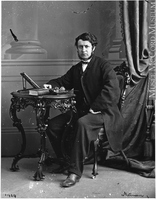 Philippe Sylvain, “GREELEY, HORACE,” in Dictionary of Canadian Biography, vol. 10, University of Toronto/Université Laval, 2003–, accessed April 20, 2019, http://www.biographi.ca/en/bio/greeley_horace_10E.html.